Entries are now open - Enter TODAY! This year, the National Small Business Chamber (NSBC) and World Famous Events will mark the 10th anniversary of the South African Small Business Awards, recognising the hard work and achievements of small businesses and entrepreneurs in South Africa. Mike Anderson, Founder and CEO of the NSBC, says the continued success of the awards is testament to how important small business is to the South African economy. “The crucial role that small businesses play in job creation, poverty alleviation, service delivery, and wealth creation cannot be underestimated,” he adds. Hosted by the NSBC and World Famous Events, and proudly sponsored by Microsoft, Absa, FedEx, SAP Business One and Telkom, the South African Small Business Awards pays tribute to the contribution that small businesses make in building communities and creating employment, all while providing top quality goods and services to their customers. “The awards also inspire other small businesses to continue striving for the highest levels of growth and success, knowing that some of the most respected companies in South Africa today also started out small,” says Anderson. Each recipient of the South African Small Business Awards demonstrates immense entrepreneurial spirit, commitment and many hours of hard work. As one of the fastest growing organisations of its kind in the world, the NSBC is dedicated to the success of small business South Africa and aims to help small businesses grow, learn, network, connect, be inspired and have fun. 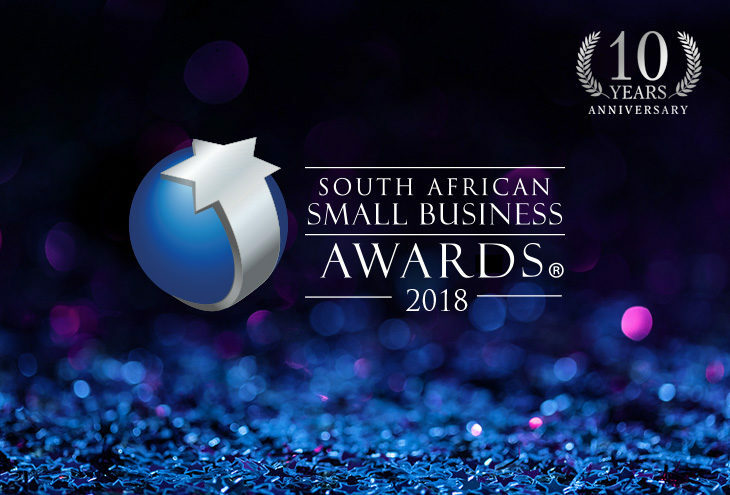 Entries for the 2018 South African Small Business Awards close on Friday, 05 October 2018. The finalists will be announced on Thursday, 25 October 2018 and the winners will be announced at a glittering gala breakfast at The Barnyard, Silverstar Casino in Johannesburg on Thursday 8 November 2018. Entries are open to small businesses and entrepreneurs from all industry sectors throughout South Africa. To enter the 2018 South African Small Business Awards, click here. Do it now as entries close soon.